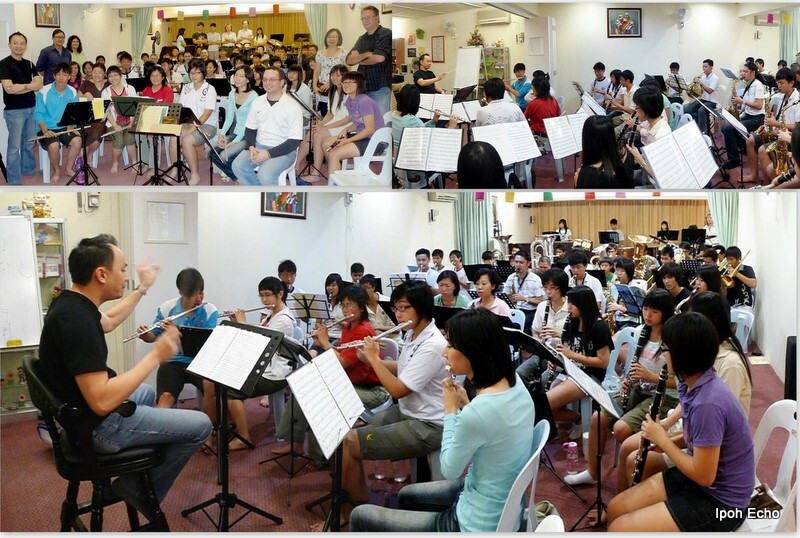 The Kinta Valley Wind Orchestra (KVWO), Perak’s very own wind orchestra, recently held a weekend music camp where professional musicians from KL and Penang, some of whom are performing with the Petronas Malaysian Philharmonic Orchestra, turned tutors for a weekend. According to KVWO’s Music Director and Conductor, Eugene Pook, the purpose of the camp was to expose the members of the orchestra with these accomplished musicians who would impart their musical knowledge and techniques to bring them to a higher level of performance or as Pook summed it “a fine tuning get together”. The last day of the camp was a full orchestra rehearsal during which all the participants were given their certificates of completion. 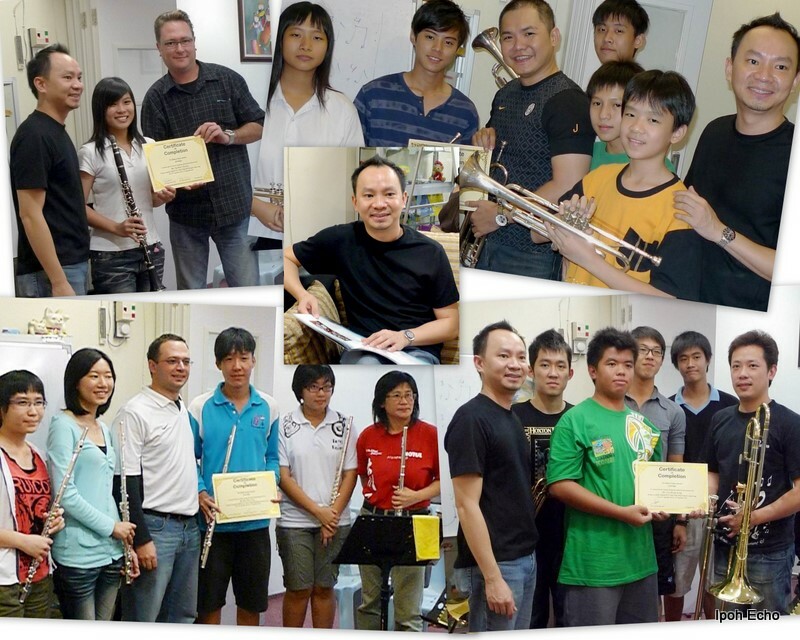 KVWO which was formed this year is made up of 50 members from all strata of society which includes students from secondary school bands and adult amateur players. Pook who has been coaching the orchestra every weekend without fail since its formation earlier this year held its inaugural concert in July. KVWO which indicated its objective is to provide 3 concerts per year are now rehearsing for their upcoming Christmas Concert which is scheduled for December 17. Undeniably this is an inspiring effort for a young orchestra less than a year old.